People who are employed specifically to do an Apprenticeship programme are called apprentices. This will not be the case if you are already employed and undertaking an Apprenticeship as part of your personal and professional development. What does it involved and how long do they last? 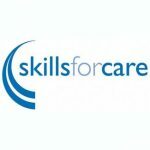 These are work-related qualifications that help you develop the practical skills and knowledge needed in a specific job. The qualifications are split into units and each unit is assessed through the observation of practical work and a portfolio of evidence. Technical certificates develop your skills and knowledge in a particular aspect of your job. They are recognised by employers. The duration of the programme depends on your contracted hours and what level of Apprenticeship you are undertaking. Level 3 Advanced Apprenticeships are usually 18 months in duration as there is more to cover. If you start an Apprenticeship, you must commit to completing it. Career progression is excellent for people who have completed an Apprenticeship. Over the course of their careers, those with an Apprenticeship earn more than those without. The minimum wage for an Apprenticeship is £3.33 per hour, this is set by government. You will be paid at least the minimum wage, however we often find that employers do pay more than the minimum wage. Like most other employees, you will also be given at least 20 days’ paid holiday per year as well as bank holidays. As skills develop, many employers tend to increase wages, research has found that apprentices earn an average of £170 net pay per week. If you have a query regarding your salary then you should contact your employer. What if I already earn more than £3.33 per hour? If you are already employed and plan to undertake an Apprenticeship with your current employer, there is no reason for them to change your contract or your rate of pay. The NMW of £3.33 per hour is a minimum, and it applies to people who have been specifically employed as an apprentice. Can I claim benefits whilst on an Apprenticeship? Not usually. If you are on an Apprenticeship, you will be in work and being paid an hourly wage by your employer. In some cases, you may be able to claim for certain benefits e.g. child tax credits. Full details are available on the following website www.dwp.gov.uk. I have already got a job – can I still do an Apprenticeship? Yes. If your employer agrees, you can undertake an Apprenticeship where you work now. Your current contract and rate of pay shouldn’t change, and you won’t be classed as an apprentice. What kind of Apprenticeship can I do? Apprenticeships cover a wide range of vocational areas. They are not just for plumbing, hairdressing, construction or welding – you can even work in an office and be on a business administration Apprenticeship. How will I know what level to choose? CBD Training will advise you on the level that best suits your job role, current knowledge and skills. You will be assessed by one our qualified and experienced assessors who will ensure you are place on the right pathway. Can I carry on if I leave my employment? If you decide to leave you current employment and move to a similar role with another employer, you will be able to continue on your apprenticeship. If you change job roles i.e. moving from Care Support Worker to Hairdresser then you will be no longer suitable for the apprenticeship you originally signed up for.